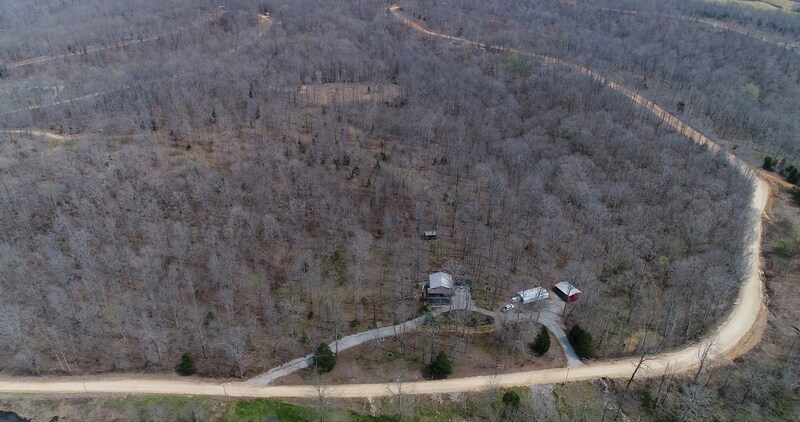 RAINBOW LAKE RD - PRIVATE CABIN FOR SALE IN TN WITH ACREAGE! 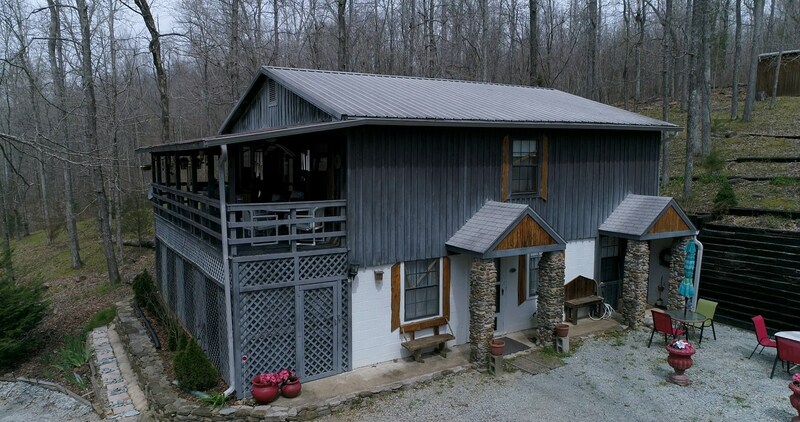 This 4 bedroom, 3bath cabin / country home is tucked back in the hills of Tennessee, and is a Must See for those looking for privacy! Best of all, home comes fully furnished!! Just bring your toothbrush! 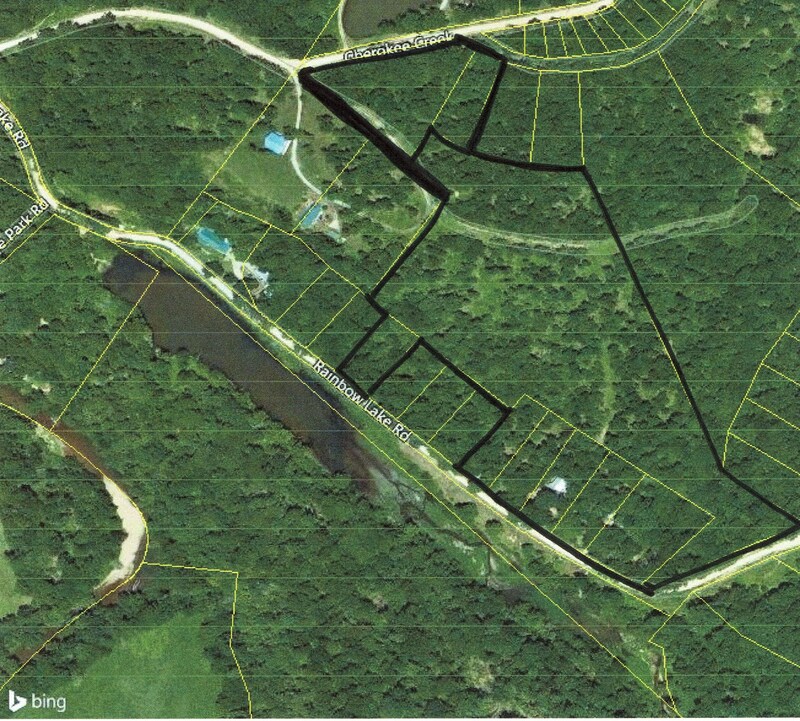 Home with Basement, Acreage with Fencing for Horses, Cattle, etc, Barn, Spring, Wildlife for Hunting, and more! Main floor features 2 bedrooms (with one being the master), a full bath, kitchen with eat-at-bar, dining room area, and a sizeable living room. A full glass sliding door leads out from the living room onto a huge covered elevated porch that spans the entire length of the home, offering panoramic breathtaking views of the property, and of Rainbow Lake that is located across the road. The walkout basement supports a mother-in-law suite / studio apartment with handicap accessible bath, a den with a cozy gas fireplace, office area, another bedroom, and full bath. This bottom floor also contains a canning room, complete with stove/frig/deep sink, with the flooring done in Mosaic tile. While a deep drilled well supplies ample water to the home, owner has installed three 550 gallon water tanks that are filled via a rain-harvest system for watering the plants, washing vehicles, etc. Outside you will find a yard full of mature trees such as Hickory, Oak, Black Walnut, and various types of blooming plants. Other extras include a 18ft. x 31ft. carport with adjoining tool room, and a 21ft. x 30ft. open-ended barn. 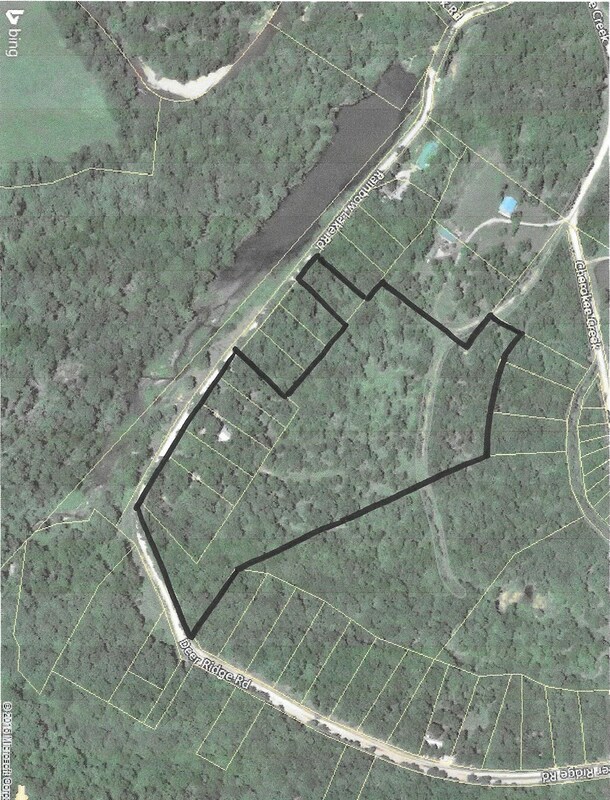 Property measures out to be approximately 18 acres, with almost all being fenced for horses, cows / cattle, livestock, etc. 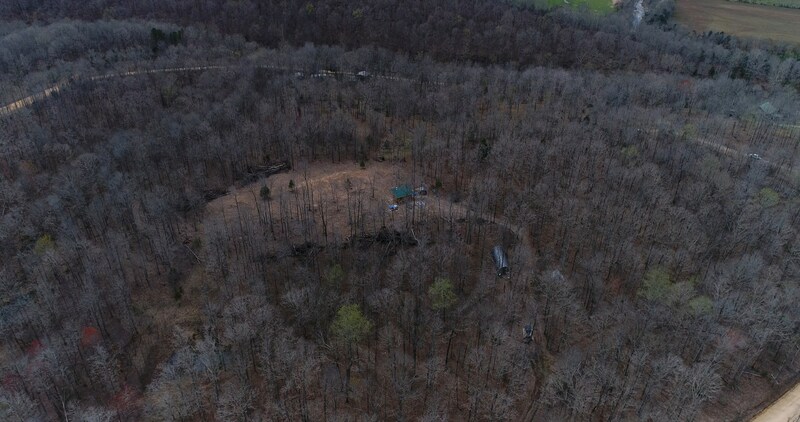 Owner stated that there were also a couple of springs, and at least 2 caves on the property! 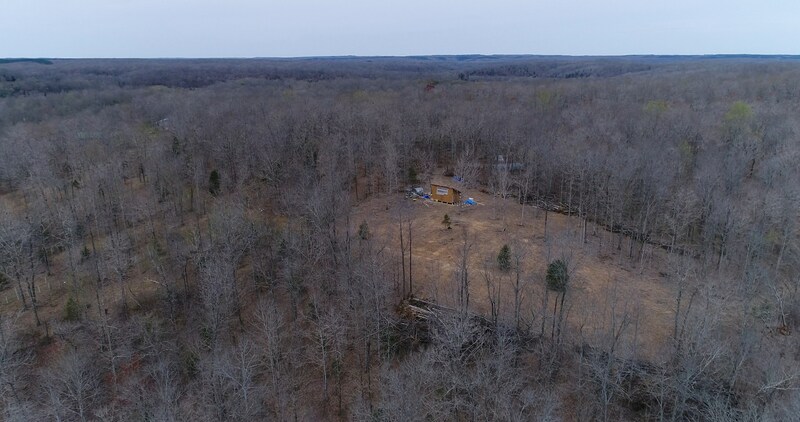 There are no restrictions on this property allowing you to make of what you wish.... A horse farm, cattle farm, hobby farm, mini farm, private getaway, vacation home, etc. Frontage on 2 Roads! All this is privately located approx. 10 miles north of Waynesboro Tennessee, close to the Natural Bridge Fitness Spa. Address :1021 Rainbow Lake Rd.